A violin shop wants to sell a violin for a lot more than what a private seller might get due to shop overhead plus the shop is in the business to make a profit. 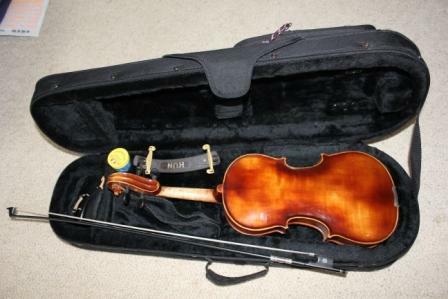 So the reality is your violin, if in the same good condition since when you bought it, even with the nice additions of case and good bow, will probably sell for quite a bit less than what the shop told you. And your description doesn't say anything about how the violin sounds, which, at least for me, is the only thing I look for when buying a violin. I have to try the violin for myself to find out how it really sounds--things like videos don't help me at all. If you intend to sell it, I suggest offering a money-back return if the buyer tries it out and doesn't like it. A regular shop normally offers the same deal--you try it for a week or two with the right of returning it for a refund if you decide you don't like it. Ferret- I am a little hesitant to let it go, but reality is, I just do not have the time needed to become a decent player. I now play on a mandolin and just ordered a Banjola. I have let something go. So I guess I will post this on Craigslist at $550 OBO and see what happens. Most instruments seem to have a pretty standard pricing. 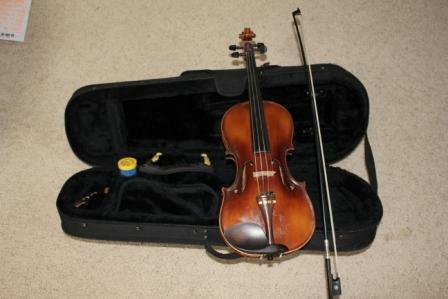 But violins seem to be really subjective when it comes to figuring out a asking or selling price. I guess Only time will tell. Yes. The violin is a very jealous lady. She wants all of your time and wants to share you with no others.